No one really knows just how many artifacts were seized during the infamous raid on Innsmouth. 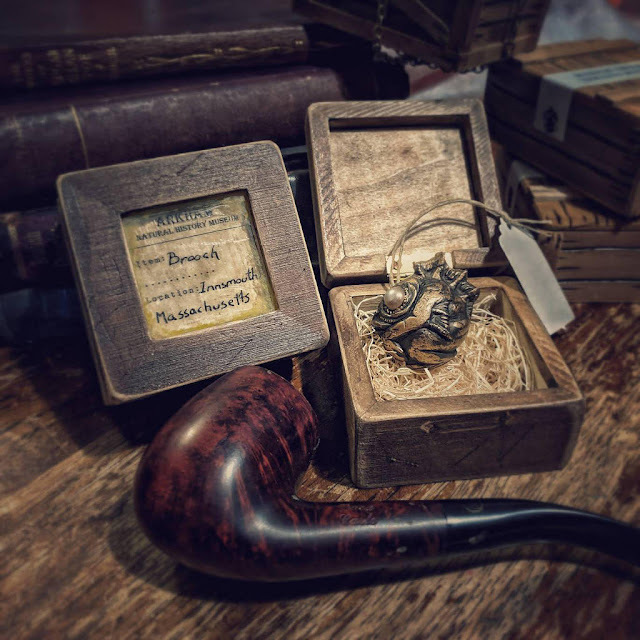 Nat Wiland brings us one such item, a Deep One brooch from the Arkham Natural History Museum collection. Dayne Hodson returns to our pages with this fun little Gorgon Specimen Chest. 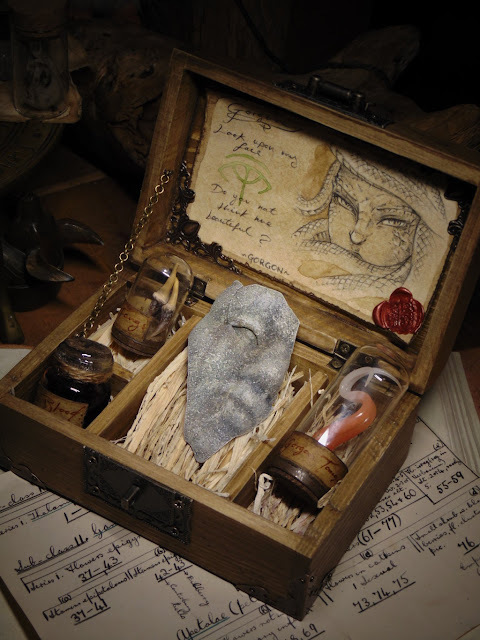 It includes a post-petrifaction fragment of the titular creature, a pair of trophy fangs, blood sample, and an amputated tongue. 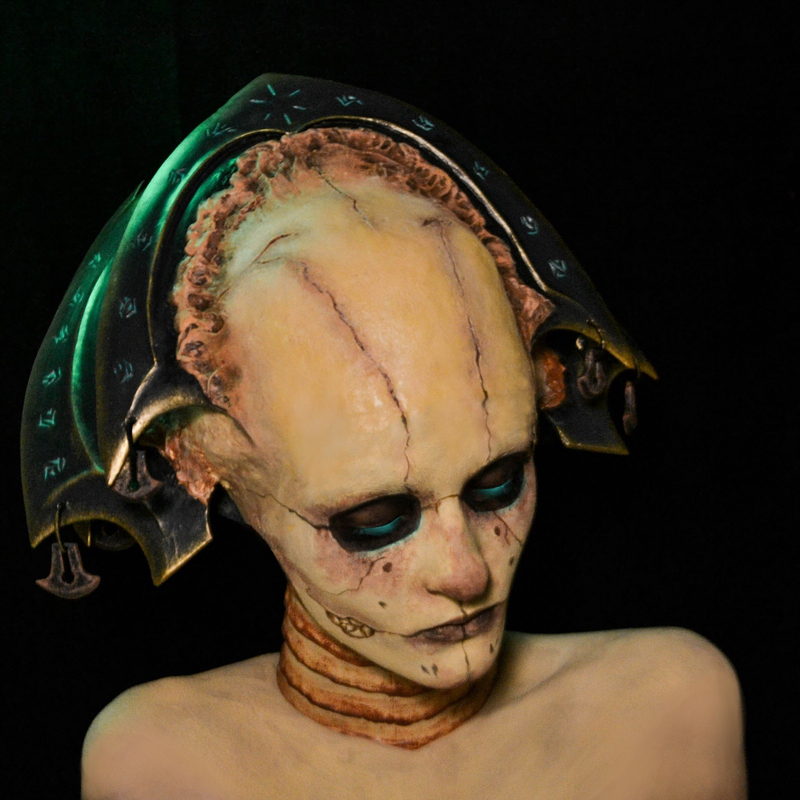 Itters Russ brings us her character from the Call of Cthulhu event at this weekend's Pax Australia convention. 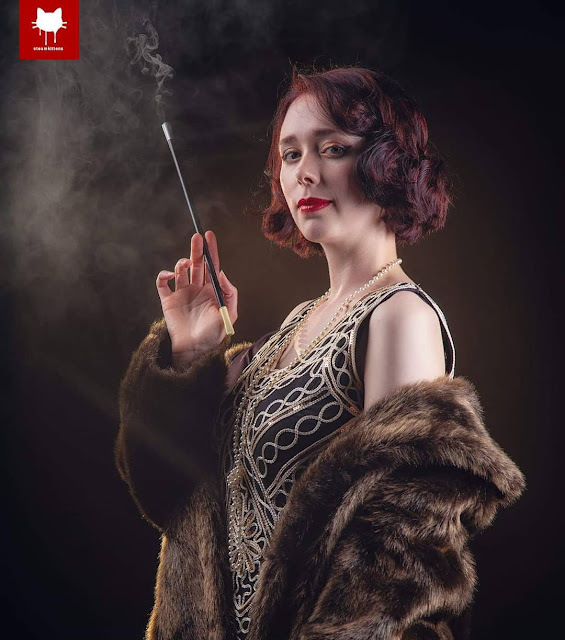 Photography courtesy of Steamkittens. As Nick Derosa demonstrates, scarecrows aren't just for scaring off crows. I love the textures on this. 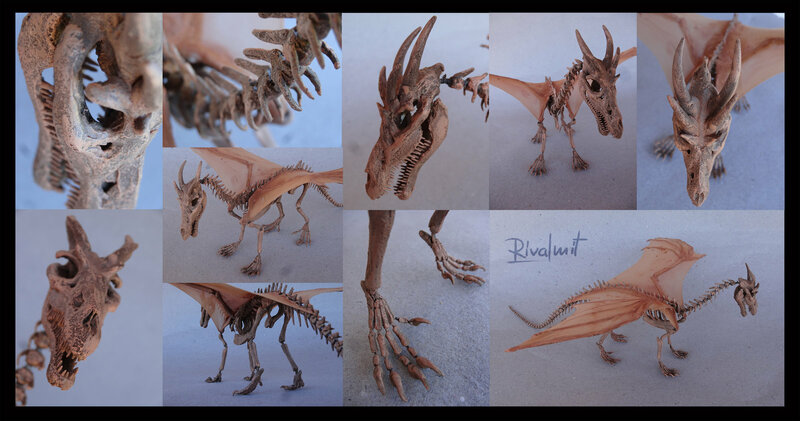 This nicely done dragon skeleton comes to us from artist Rivalmit. It does a great job of recreating the look of a real wire-articulated mount. 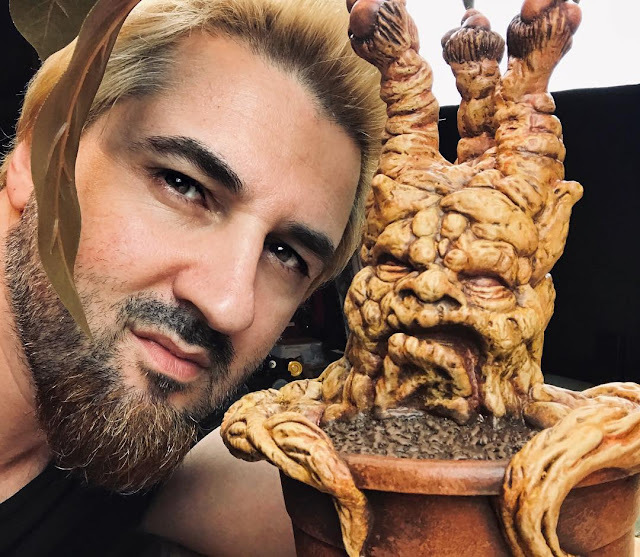 Italian artist Wizoor, the acknowledged Master of Mandrakes, brings us this potted mandrake. One can only imagine what a home gardener has to go through when it needs to be re-potted. 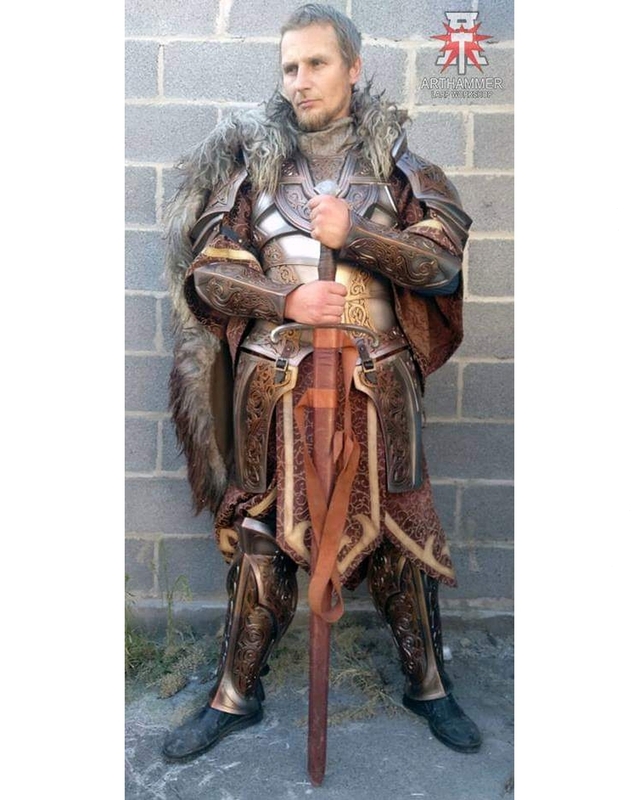 Arthammer Workshop brings us this finely crafted set of Northman LARP armor. The appropriately named Arsynal Props returns to our pages with this collection of daggers from Skyrim. 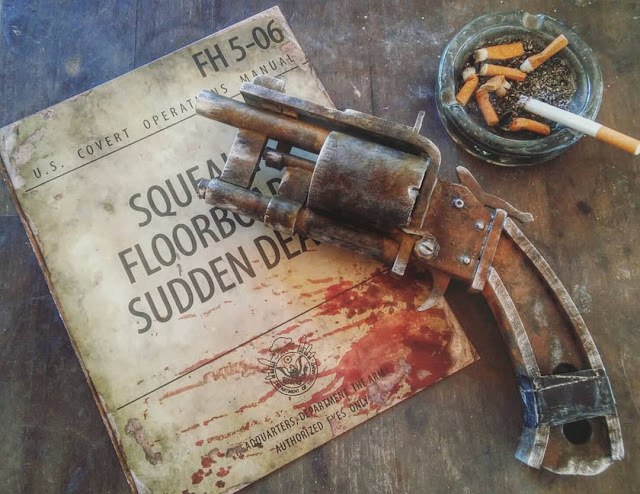 Chris from Chunk-a-Nuke Props brings us his recreation of the Fallout 4 pipe pistol. Click through to check out the rest of his amazing Fallout prop collection. Mark Walker returns to our pages with The Twin Codicils, a matched set of hand-bound prop grimoires. 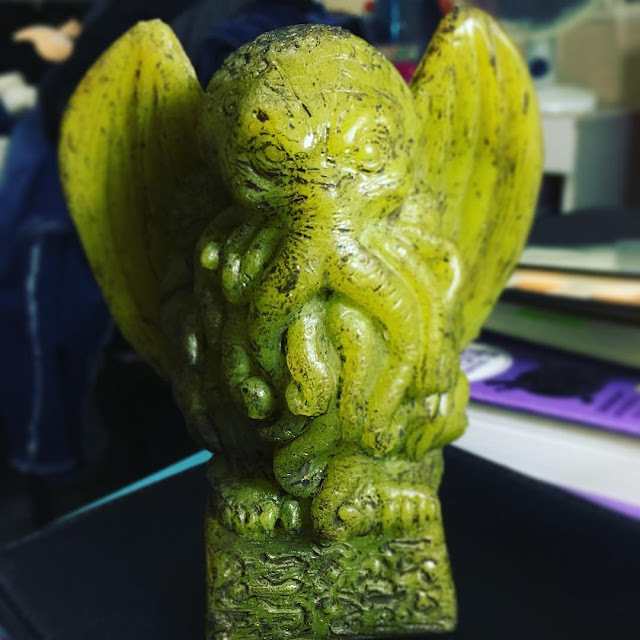 This nicely done jade Cthulhu idol comes to us from Rafaele Queiroz. 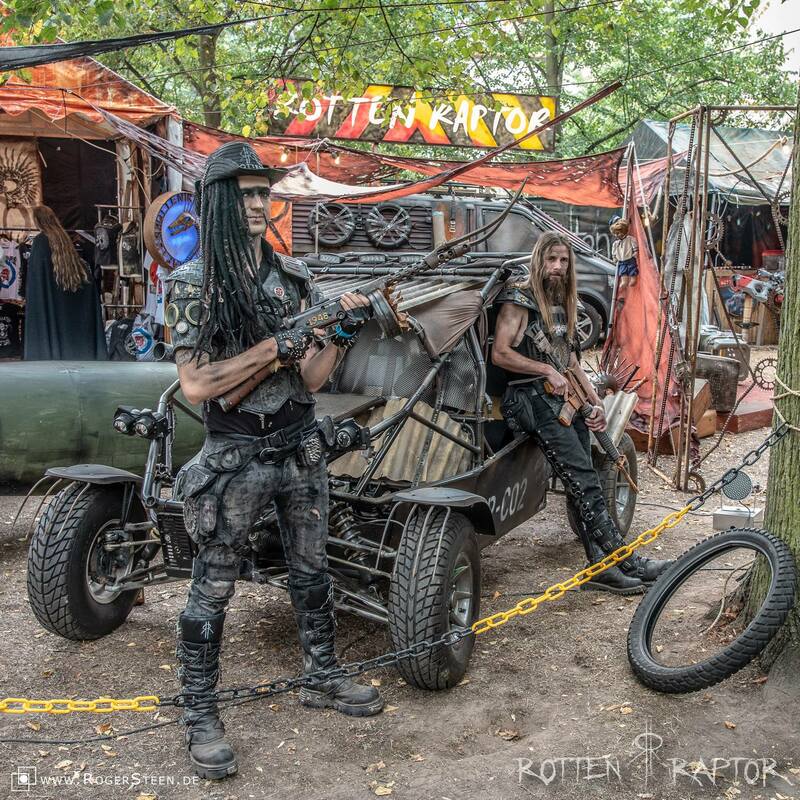 This over the top event camp is the work of German RP group Rotten Raptor. As you can see, they're seriously dedicated to immersiveness. In addition to their amazing costumes they have a fleet of post-apocalyptic vehicles in addition to the two displayed here. 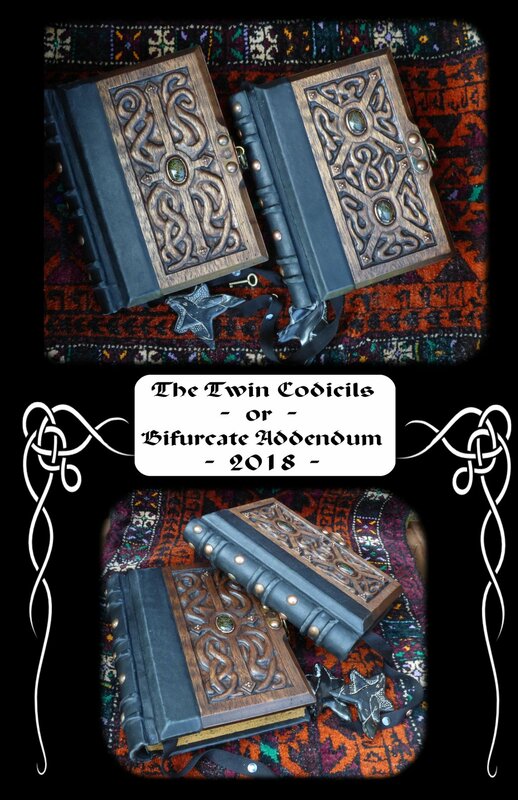 Image by Roger Steen Photography from the Annotopia 2018 event. This piece inspired by Lovecraft's "The Rats in the Walls" comes to us from Greek artist George Tsougkouzidis. 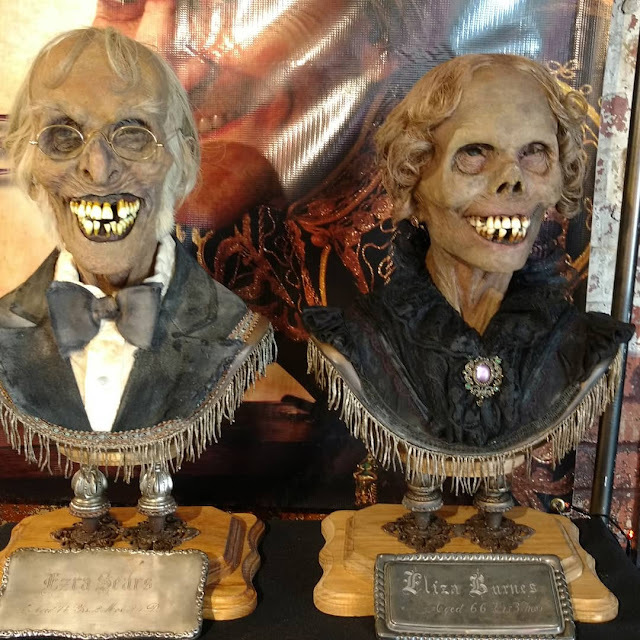 If I had just a fraction of the sculpting talent on display here I could die a happy man. 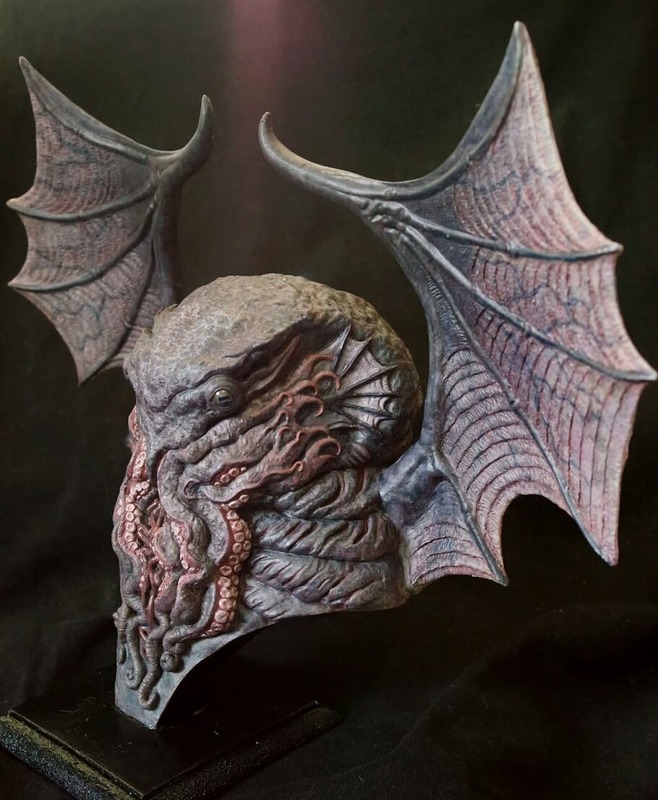 This amazing Cthulhu sculpt comes to us from Barbelith2000ad. Click through to check out the high resolution version to appreciate the insane level of detail. 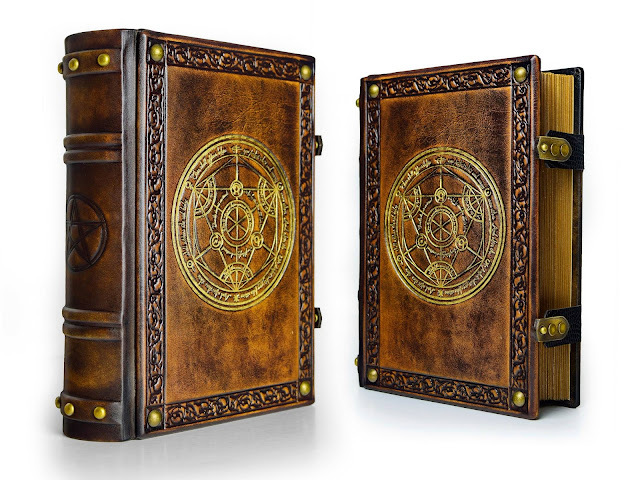 The gifted Alex Libris returns to our pages with this custom tome adorned with an embossed and gilded transmutation circle. Featuring hand tooled leather and custom brass hardware. 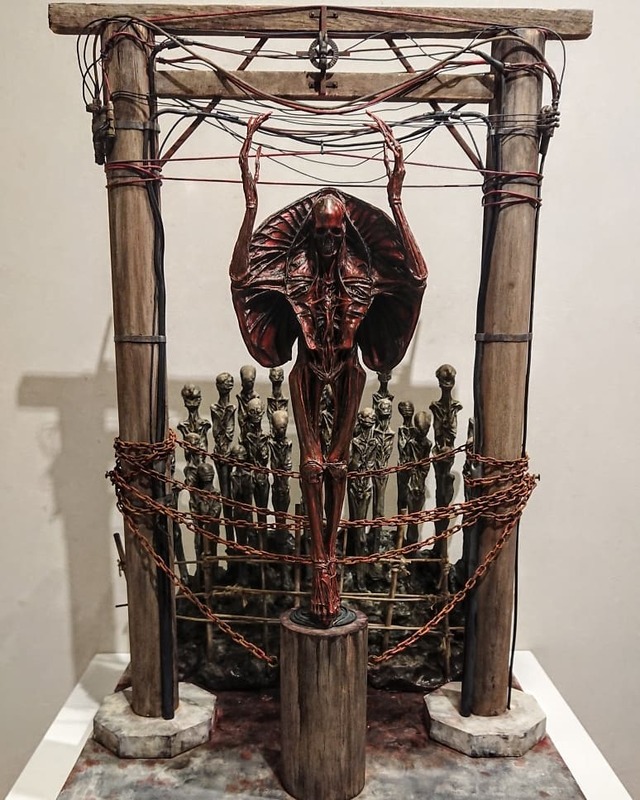 This eerie altar to the Red God comes to us from Japanese artist Yoneyama Keisuke. 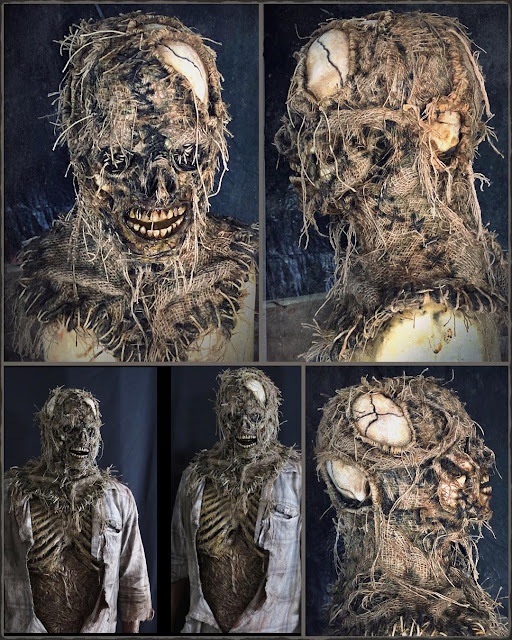 Dolen Carag returns to our pages with this monstrous Cthulhu skull, fashioned from a real human skull and animal horns. 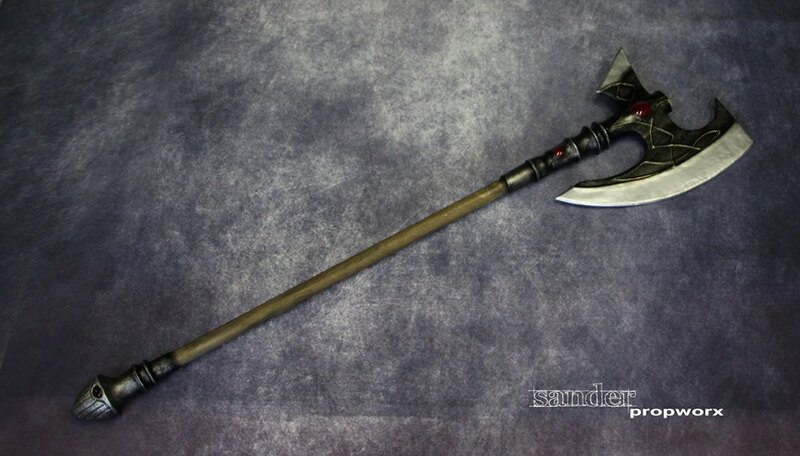 I imagine this is just the sort of thing a cultist would have as the centerpiece of their home altar. 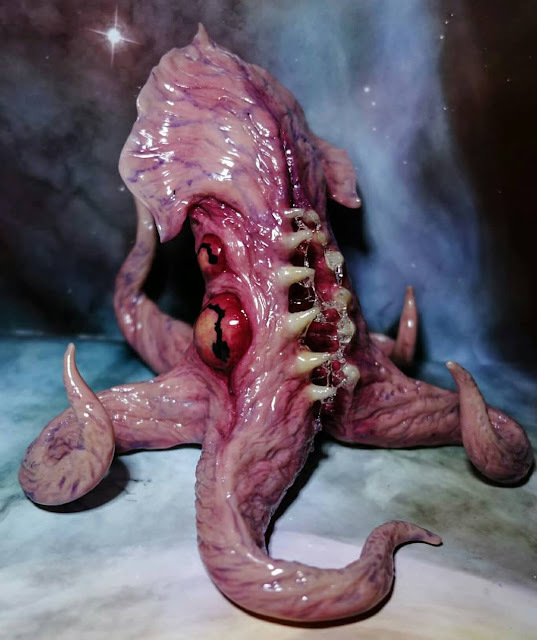 Karen Main knocks it out of the park with this nasty little squid thing. 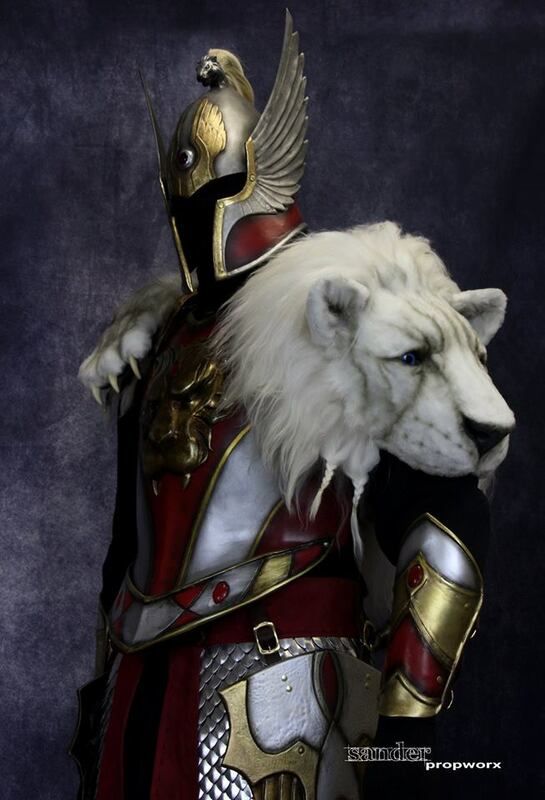 The paint job is just phenomenal. 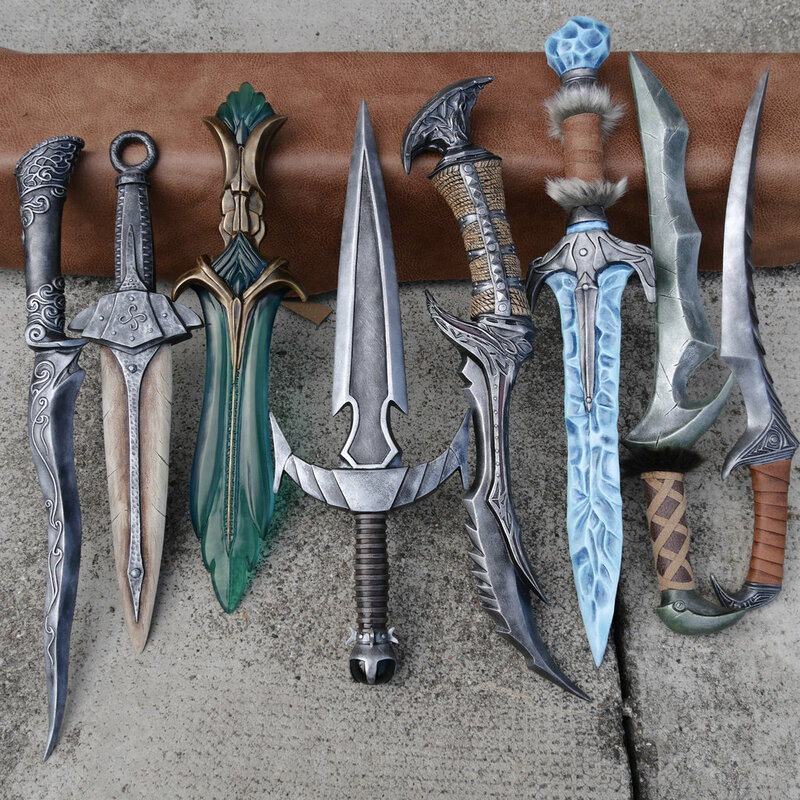 This is the kind of stuff I'm going to be furnishing my game room with when I win the lottery. 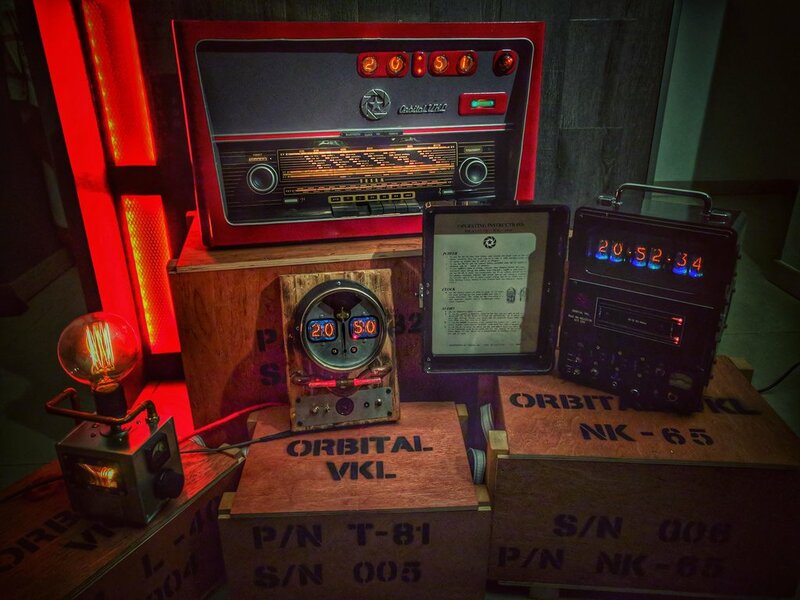 Stanislav A. Kirov at Orbital VKL brings us this collection of functional retro-futuristic gear. From left to right we have the L-40 table lamp, R-532 radio with built in nixie clock, T-81 nixie tube wall clock, and the NK-65 bluetooth speaker with built in nixie clock. Just click through the link for a closer look at Mr. Kirov's wonderful work. This sumptuous set of lion-themed LARP armor, complete with axe, comes to us from the gifted Sander Propworx. Patrick Magee returns to our pages with this nicely done shrunken head. 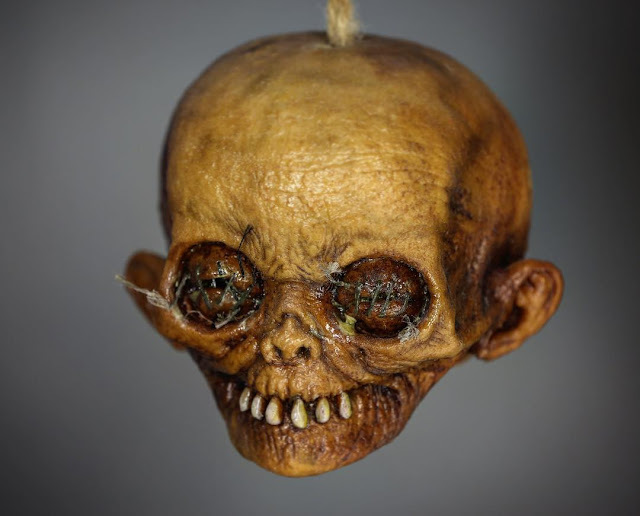 The fleshy eye sockets are particularly icky.